Everton defender Kurt Zouma was shown two yellow cards followed by a red after the full-time whistle in the 1-0 defeat at Watford. Referee Lee Probert took exception to the Frenchman's protests after the final whistle was blown at Vicarage Road. The centre-back was seen remonstrating vociferously with the official after Everton had slumped to a third straight Premier League defeat. Andre Gray's 65th-minute winner came after a contentious decision to award Watford a corner, with Probert signalling that Jordan Pickford had touched Jose Holebas' shot. But a full minute passed before Gray met Will Hughes' cross for the game's decisive moment, with Zouma clearly a frustrated figure for the remainder of the contest. As Watford celebrated their victory, which moves them five points clear of Everton in eighth place, the on-loan Chelsea defender was seen approaching referee Probert near the centre-circle before confronting him face-to-face. Zouma clearly overstepped the mark with his protests, as the match official showed him two yellow cards - the first of which was not spotted on camera - followed by a red. Everton boss Marco Silva revealed he spoke with the centre-back in the dressing room afterwards. The Portuguese said: "I've spoken with Kurt, and what he told me is that he didn't see the first yellow card. He was surprised when I asked him what happened to receive a red card. I've not had the chance yet to speak with the referee." In a similar case, Huddersfield defender Christopher Schindler was sent off in a 2-1 defeat to Burnley on January 3 after appearing not to be aware he had been shown a first yellow card by referee Mike Dean. 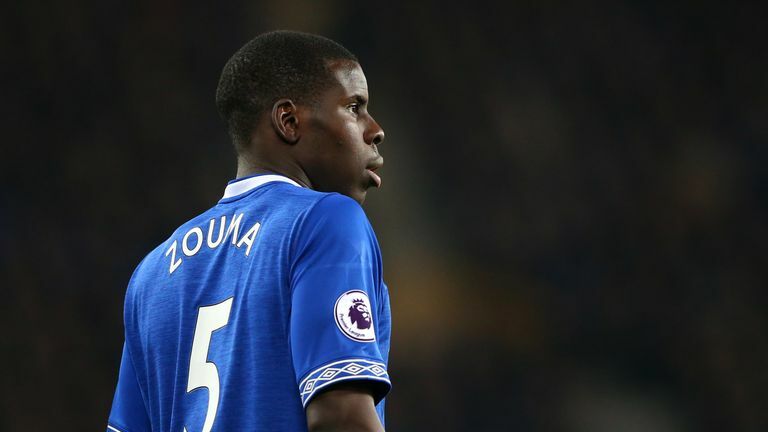 The Premier League confirmed later that Zouma was sent off for two bookable offences, and he will now miss Everton's next match - which is not until February 26 against Cardiff City. It was the second time this season Probert has sent off an Everton player, with Richarlison seeing red at Bournemouth in August.